me kind of Cannabis reform into Kentucky! FRANKFORT, Ky. (LEX 18) – Secretary of State Alison Lundergan Grimes is encouraging Kentucky cities and counties to endorse medical marijuana legislation which can help their citizens, many who are veterans fighting physical and mental illnesses, get care and relief they need. Maysville and Mason County have recently taken official action in support of legalization legislation. Maysville adopted a resolution last year that “encourages the Kentucky General Assembly to consider legislation for medical marijuana which provides for the care, comfort and relief” of Crawford and other Kentuckians who can benefit from medical marijuana. Mason County’s fiscal court adopted a similar resolution in 2014. Crawford, a member of Grimes’ panel advising on medical marijuana legislation, told the group last week that medical marijuana had significantly improved his conditions. He showed the dozens of prescription pain relievers, including narcotics, he had been prescribed and have many adverse side effects. Crawford said he feels the most relief with marijuana, which is illegal in Kentucky. Medical marijuana is legal in 29 states and the District of Columbia. 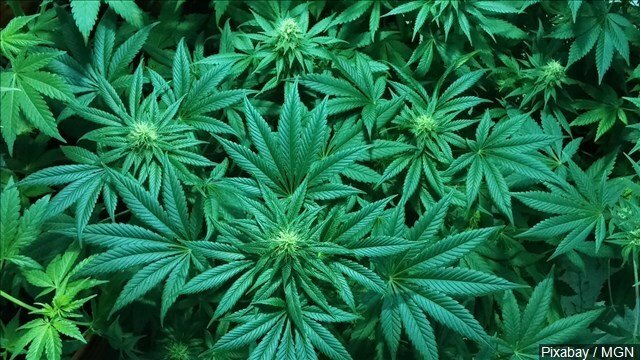 The Madisonville Messenger reported Wednesday that members of the Hopkins County Fiscal Court this week voiced support for legalizing medical marijuana in Kentucky. Grimes’ panel last week also heard from other individuals, including two veterans, who attested to the way medical marijuana had greatly benefited them in dealing with physical and mental illnesses. The veterans said severe post-traumatic stress stemming from their service in Iraq had impacted their work and relationships. Significant evidence exists showing marijuana counters side effects of a large number of illnesses and diseases, including cancer, multiple sclerosis, Alzheimer’s disease, Crohn’s disease, hepatitis C, and post-traumatic stress disorder. I have been informed of these meetings taking place in Frankfort, Kentucky, this Thursday, October 12, 2017 @ 1:00pm. I am posting the information here! Please follow links to obtain more information! Should KY Veterans, or Public Protection Officers (Fire Fighters, Police, EMT) be criminals for trying to find a better quality of life? Come show support for KY patient’s safe access to cannabis. Thursday October 12, 2017 @ 1:00 P.M.
— in Kentucky State Capitol.